I’ve been a fan of Hackney’s Five Points since its inception in 2013, my first beer being a trial brew of the Pale bought in the Stoke Newington branch of Borough Wines. It’s a solid example of the ‘west coast’ style of pale ale – generously hopped with Amarillo, Centennial and Citra with the fruity aroma and bitterness you would expect. The Railway Porter is an exemplary take on the style – brewed with East Kent Goldings hops, it has an intensely smoky aroma with chocolate and coffee dominating the taste, with a hint of caramel and vanilla. The IPA is a new addition to the range and, while some rate it highly the overriding sensation was an unpleasant alcohol burn on drinking it at the Five Points tap takeover at Brewdog Shoreditch on 12/08/14 . That said, at the time of writing it’s still being tweaked so I look forward to tasting the finished article. Saving the best till last, my favourite Five Points beer is the gorgeous Hook Island Red. I first had this on cask at The Jolly Butchers in Stoke Newington and my friend Lee and I must have come close to draining the barrel. It’s an incredibly aromatic rye ale with loads of fruit and a slight hint of spice, and at 6% way too drinkable. I believe that evening I ended up bouncing up and down buses all over north and east London which I appreciate isn’t everyone’s idea of a good time. Regardless of my lack of self control, Five Points have come a long way in a short time and really have hit the ground running. Added to the fact they are a Living Wage employer, they are setting a very high standard indeed. 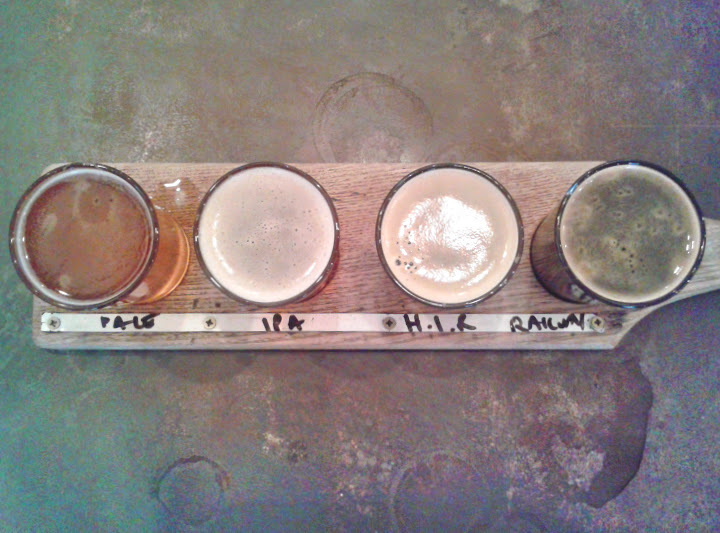 This entry was posted in Beers and tagged Brewdog Shoreditch, Five Points Brewing Co., Hook Island Red, IPA, Pale, Railway Porter. Bookmark the permalink.